Do you watch in awe as you see kiters catch a perfect wave and yearn to feel that freedom and exhilaration too? 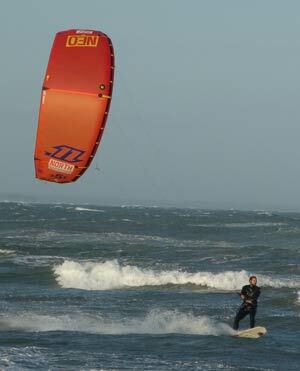 Harmoniously dropping into waves and maximising what nature gives us takes kitesurfing to another level: you can see why it’s definitely becoming a popular side to the sport. However, if you want to give it a go yourself, you may find it helpful to start out in a suitable location first. Wave riding might not come easy, but that’s part of the fun of it! If you’re already kiteboarding comfortably on a twin tip and looking to start out on a directional board you may be surprised to hear that it’s best to try it somewhere not necessarily famed for waves! When starting out on a surfboard you’ll quickly realise it’s a whole different animal to twin tip riding and it’ll take a bit of time to adjust your weight distribution and pressure to get the board under control. You want to first be riding comfortably upwind, then getting your carves perfected and your gybes figured out; the last thing you’ll need at this stage is to tackle overhead waves! Cabarete, Dominican Republic – The perfect place for a bit of everything. Just 30 minutes from Puerto Plata international airport you’ve got the flat/slightly choppy waters inside the reef to play around in while you’re getting comfortable. Once you get a bit more confident then there’re the soft waves over the reef break to give a try. Get your board control mastered and head downwind to Encuentro surf beach to enjoy much more grown up waves once comfortable. 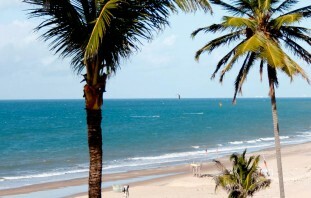 See our previous Guide to Cabarete. Langebaan (& Cape Town), South Africa – The extremes in all conditions. Just 1.5 hours down the road from Cape Town is the flat water paradise of Langebaan lagoon (as well as Shark Bay). This is the place where I had my own fledgeling go on a friend’s directional board and it quickly became apparent I was in a pretty safe spot to be completely out of control! When you get tired of wiping out on your directional, you can switch back to nailing tricks on your twin tip or boosting big off the huge kickers back in Cape Town. See our previous Guide to Blouberg. 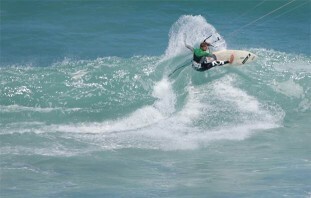 Lancelin, Western Australia – The place to escape if all you want to do is kite. If you want to focus purely on your kiting and don’t need nightlife or hustle and bustle, then Lancelin delivers just that. The quiet town 2 hours from Perth boasts a beach with both flat water and reef. Similar to Cabarete (although flatter inside the reef break) you get plenty of chance to get your directional sea legs before attempting nearby waves. IKSURF Magazine wrote a pretty comprehensive guide to the area for the full low down. Paracuru, Brazil – For fun waves as well as flat space. Just 90 minutes from Fortaleza airport and a little further on from Cumbuco into the windier North is the well-serviced town of Paracuru. A few kilometers from town and you’re blessed with a kite beach with a great wave playground out off the reef break. Practice first at high tide on the nice flat lagoon on the inside until you’re ready to venture out to test your newfound surf skills. 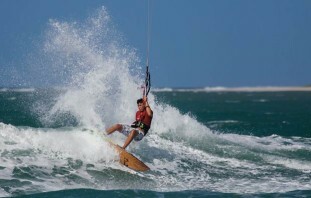 For the full down check out Kiteworld Magazine’s online travel guide to the spot! The Bay Area & Santa Cruz, California, USA – For lots of location variety. If you’re living or traveling in the North California area then you’ve got some prime spots for flat water surfboard training and then waves when you’re ready to step it up. For flat/choppy water you have two great areas – Alameda (East side of the Bay), and 3rd Avenue (West side of the Bay, 20 minutes south of San Francisco). Cross over to the sea and down towards Santa Cruz and you’ll come across Waddell Creek – a great wave spot which gets the same amazing thermal winds and anything from knee high to double overhead waves! The waves are powerful so avoid the bigger days when it can be busy with experienced kitesurfers, but during the summer months, the swells are smaller with waist high waves. As with any location, check you get the season right and make sure you take the right sized kites. Bear in mind that if you are completely new to riding a directional board, you may not realise that you will likely need a smaller kite than you’d usually choose (generally 1-3m smaller) when paired with a surfboard. Here are some tips to help you on your first fledgling runs! Don’t forget to download the new Progression Kitesurfing wave riding videos to give you the all important guidance on how to master a surfboard with a kite.